A primary care physician (PCP) fills such a varied role in the healthcare system that the American Academy of Family Physicians offers five separate definitions for what primary care is. Your PCP is your first point of contact within the healthcare system, and Dr. Pouya Shafipour in Santa Monica, California is highly qualified to both provide primary care and to coordinate your care across the healthcare system. Book an appointment online or by phone today to find out how stellar primary care can improve your health. Your primary care physician (PCP) is your partner in managing your health. Some insurance providers require a visit to your PCP before you can see a specialist. As your PCP, Dr. Shafipour guides you through the healthcare system and helps you learn about your health. He also provides recommendations for treatments and makes referrals specialists you may need to see for specific health issues. Dr. Shafipour serves as your healthcare coordinator, overseeing your general health so you can get the services you need for the best care possible. Dr. Shafipour helps you by tailoring his advice and guidance on living a healthy life to your specific situation. Whether you need help developing a nutrition plan that works for you or finding activities that will help you stay strong and healthy, Dr. Shafipour will give you effective, useful advice. What services does a PCP provide? 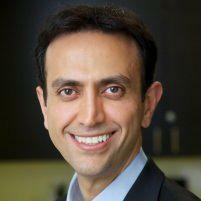 In addition to providing general healthcare services, Dr. Shafipour coordinates your care across the healthcare system. For example, if you see Dr. Shafipour because you fall and hurt your ankle, he may order an X-ray and refer you to an orthopedic specialist. If the orthopedic specialist determines you need surgery followed by physical therapy, Dr. Shafipour will be involved during each step of the process. You should see your PCP for regular physicals and health screenings to ensure you stay as healthy as possible—and not just when you’re sick. Whether you have a minor laceration or a chronic disease, Dr. Shafipour can help. The frequency of your visits depends entirely on your situation. If you’re taking a medication that requires monitoring, you’ll see Dr. Shafipour more frequently than if you only need annual checkups and care when you’re ill.
As your PCP, Dr. Shafipour will play a major role in your healthcare. He’s board-certified in family medicine and has an extensive background in providing general care. If you need a primary care physician, schedule a consultation by phone or online today.